Attitudes and orientations of mass publics gain regular public attention in the mass media and social sciences. Much less attention is paid to the orientations and norms of political elites. 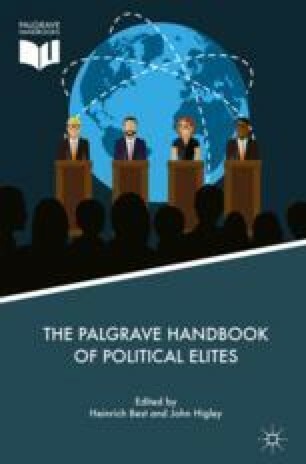 Research provides quite some evidence that there is interplay between political institutions, the incentives they offer and orientations and norms of political elites. Results show that institutional context gradually influences attitudinal adjustments as shown by transformation studies and that incentives of the electoral system have an impact on how representatives understand their job and how they represent. In addition, the roles political elites take in organizations or political institutions have a socializing effect on norms and behavior. These experiences also contribute to more firm belief systems and stronger ideological conceptualization of politics as part of the professionalization of politics.